There are no comments for Jasna Gora. Click here to post the first comment. 55. 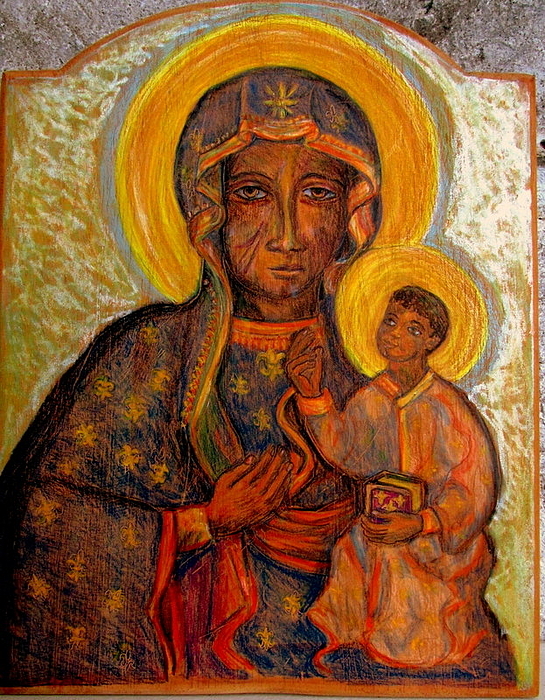 VIRGIN OF JASNA GORA encaustic on wood. 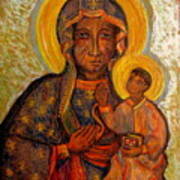 This image of a Black Madonna, Mary with a young Jesus, has a history which has encouraged the Polish people. 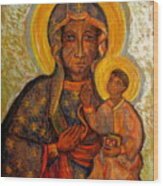 The slash marks on her face were made by a sword. 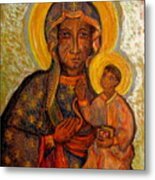 Pope John Paul II especially saw meaning in this symbol of perseverance in the face of the violence against the Polish people during the time of both the Nazis and Communist takeovers of their country.